Engineer of Ecole Centrale de Lyon / Master in Acoustics / PhD in Lyon, on hearing mechanisms. Habilitation à Diriger des Recherches of University Lyon 1, on Active Control in Mechanics (implementations of ANC, study of flow control by synthetic jets). 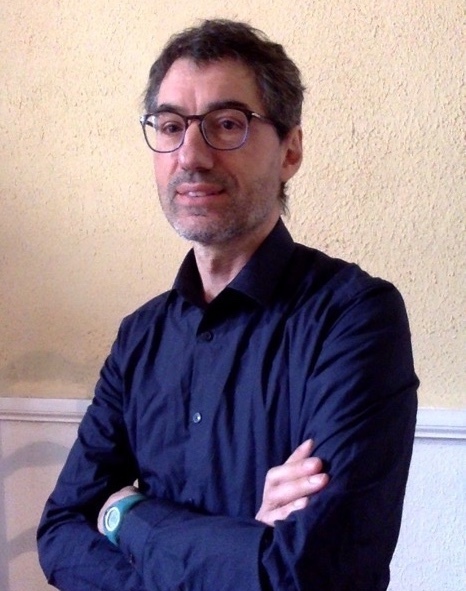 After working as research engineer at ECLyon in Lab of Mechanics and Acoustics (LMFA) and as assistant professor at Institut Universitaire de Technologie of Lyon (Dpt of Industrial Engineering and Maintenance), JC Béra is currently Professor at the University of Lyon (since 2004). He teaches mainly in Polytech’Lyon, the engineering school of the university, in Mechanical Engineering Dpt and Biomedical Dpt, and he is the coordinator of the Master of Science in Acoustics of Lyon (http://master-acoustics.ec-lyon.fr/index.php). Pr Béra is working on the interaction mechanisms between ultrasound and propagating medium, particularly on the phenomena of acoustic streaming and acoustic cavitation. The medical applications investigated are extracorporeal ultrasound thrombolysis, cell sonoporation and tissue stimulation. The acoustic control of ultrasound cavitation is a major aspect of the research, in order to prevent side effect of cavitation therapy. Systems for real-time regulation of inertial and non-inertial cavitation activity are currently in development. PIV for the characterization of focused field induced acoustic streaming: seeding particle choice evaluation. Ben Haj Slama, Gilles, Ben Chiek, Béra (2017). Ultrasonics 76, 217-226. Minimization of time-averaged and unsteady aerodynamic forces on a thick flat plate using synthetic jets. Ben Chiekh, Ferchichi, Béra, Michard (2015). Journal of Fluids and Structures 54, 522-535. Ultrafast monitoring and control of subharmonic emissions of an unseeded bubble cloud during pulsed sonication. Cornu, Guédra, Béra, Liu, Chen, Inserra (2018). Ultrasonics Sonochemistry 42, 697-703. Sonoporation of Adherent Cells under Regulated Ultrasound Cavitation Conditions. Muleki Seya, Fouqueray, Ngo, Poizat, Inserra, Béra (2015). Ultrasound in Medicine and Biology 41, 1008–1019. A time splitting projection scheme for compressible two-phase flows. Application to the interaction of bubbles with ultrasound waves. Huber, Tanguy, Béra, Gilles (2015). Journal of Computational Physics 302, 439-468. Jumping acoustic bubbles on lipid bilayers. Der Loughian, Muleki Seya, Pirat, Inserra, Béra, Rieu (2015). Soft Matter 17.